Oswego Health’s orthopedic staff is now providing convenient orthopedic services in Central Square. Physician Assistant Dan Birklin, who has been providing orthopedic services at Oswego Health for five years is making appointments for patients at Oswego Health’s Central Square Medical Center and the Primecare Medical Practice. Birklin is providing orthopedic consultations for a multitude of orthopedic problems including hip pain, knee pain, shoulder pain, carpal tunnel syndrome, and trigger fingers. He is trained to perform injections for painful joints, as well as casting and splinting patient injuries and fractures. 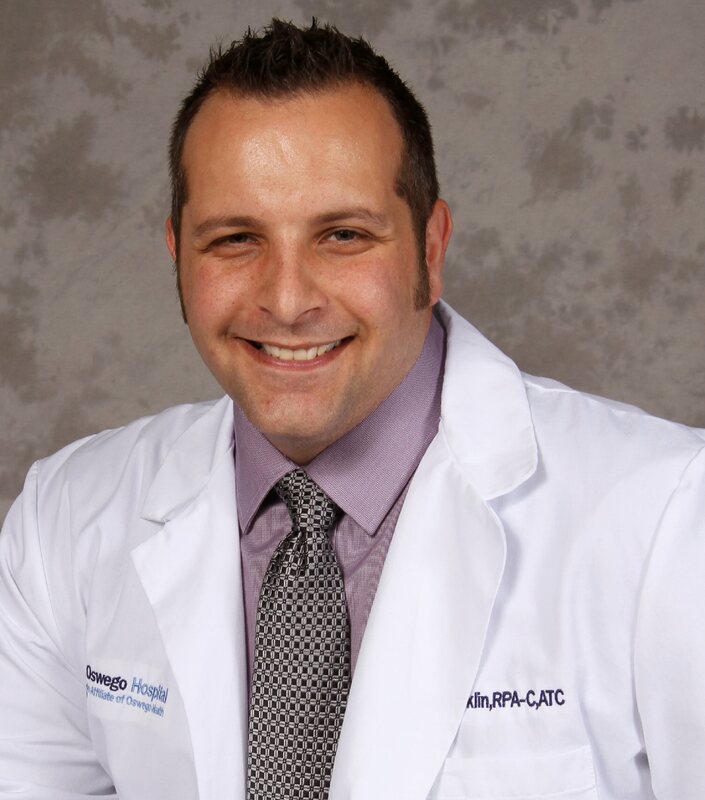 A Central New York native, Birklin earned his physician assistant degree from Le Moyne College. In addition to his physician assistant training, Birklin is well-versed in sport injuries as he earned his undergraduate degree in athletic training from SUNY Cortland. After a successful career as a certified athletic trainer, he earned his master’s degree in physician assistant studies, specializing in orthopedics and sports medicine. Birklin joined Oswego Health in 2011 and provides care alongside orthopedic surgeons John Ayres, MD, and Jerod Hines, MD. In addition to seeing patients in office, he assists the two surgeons in Oswego Hospital’s seven-suite surgery center. To make an appointment in with Birklin in Central Square, please call 349-5873.